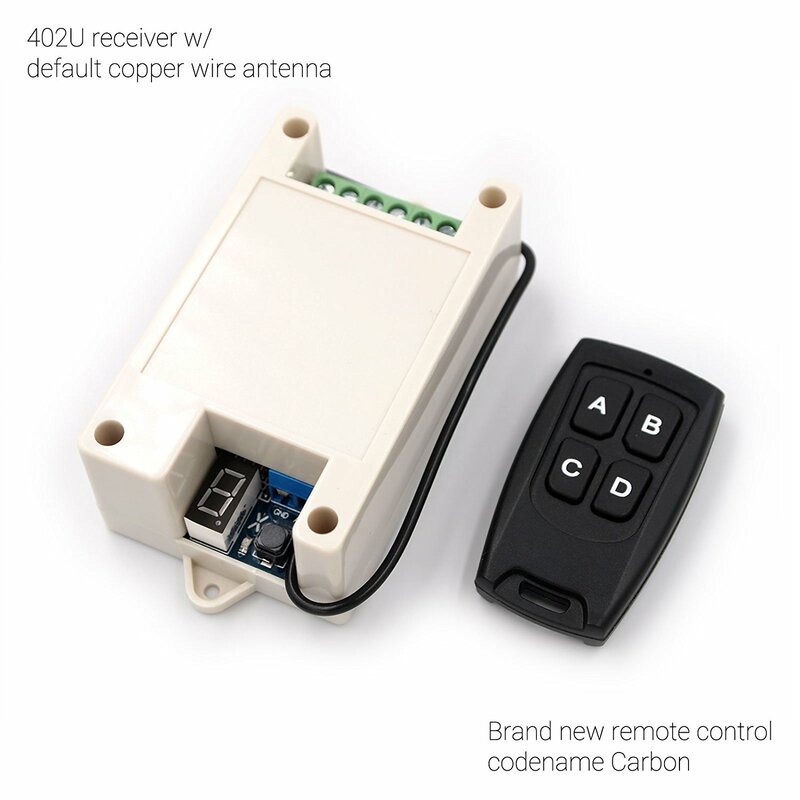 2017 BRAND NEW wireless receiver built with STEP concept in mind, can be easily used for tons of applications, where performance and security matters. 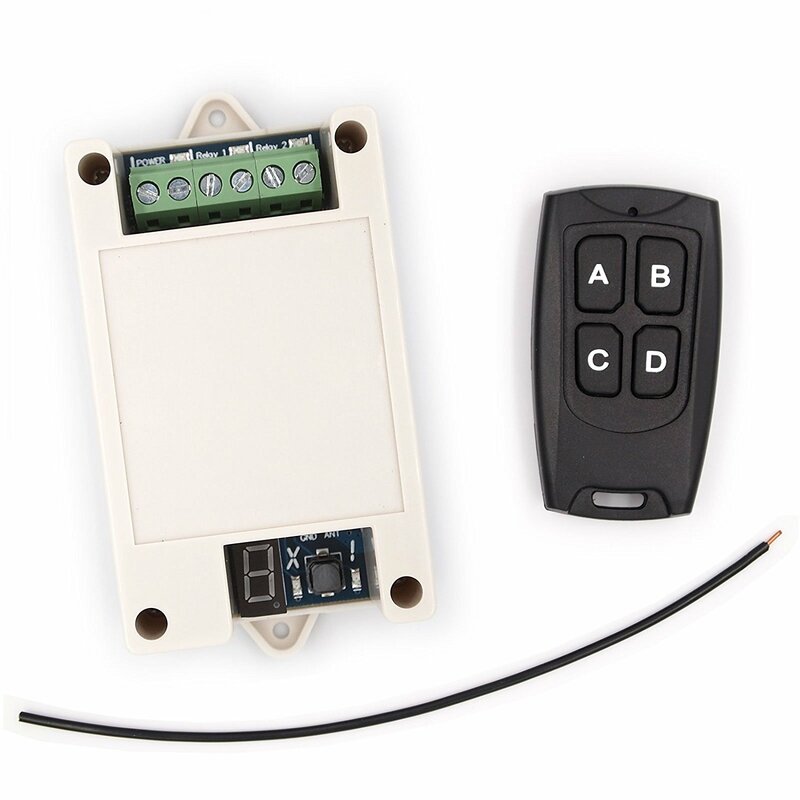 402U 2-ch receiver is perfect for universal receiver applications such as garage door opener & gate receiver, as well as other electronics switching purpose. 1. Our lab & field test results shows better range than previous generation products. 2. 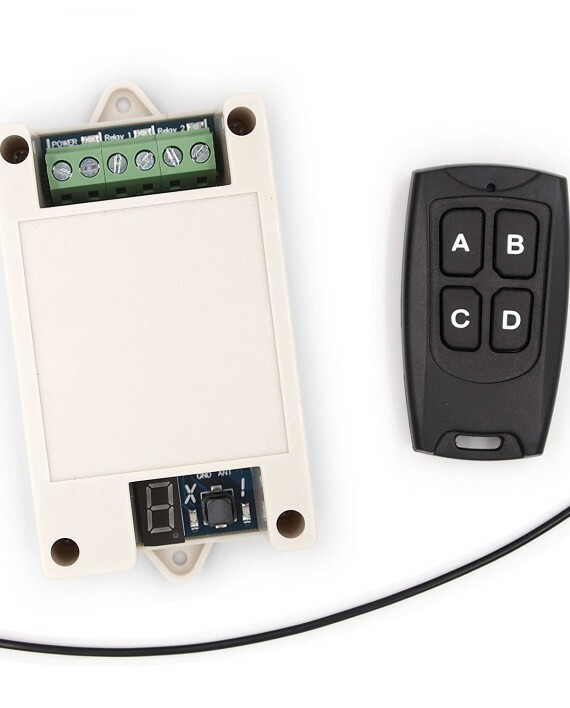 Recommended input voltage range is 9-40V DC or 9-24V AC, ask us first if you’re not sure. 3. 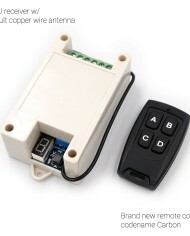 Do not connect antenna to both ports. 4. Maximum 80 different transmitters can be memorized using A mode learning. 5. 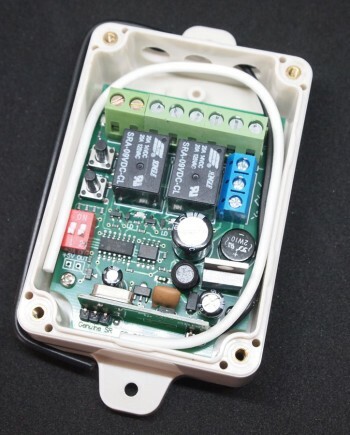 Active low relay control ports, see manual for details.